The Lexi II is a comfortable bootie with a tassel on an outside zipper that looks wonderful with slacks, jeans or leggings. 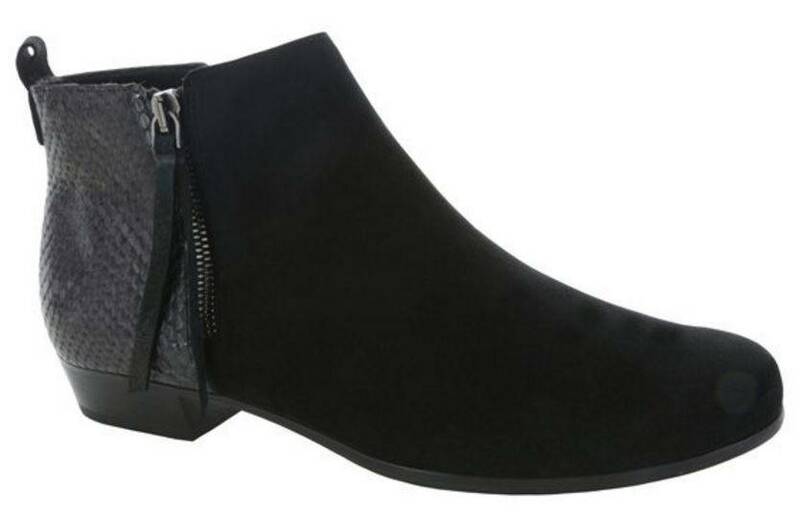 The low-heel ankle bootie in black distressed leather with the python print accent will dress up your business casual day with continued comfort. 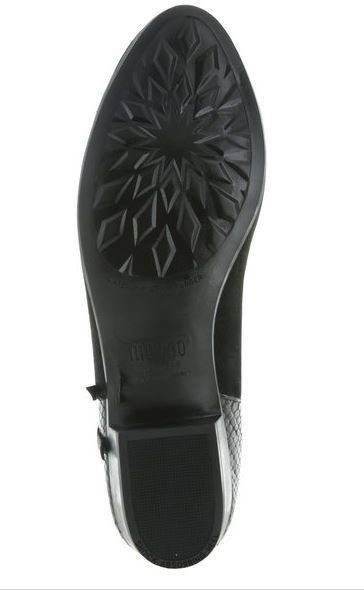 Scroll down to read more about this great travel bootie from Munro in the details section below. 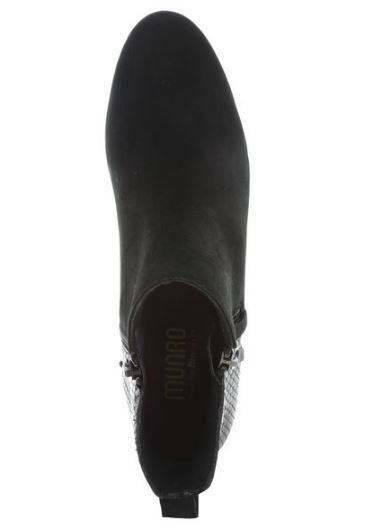 Use your Munro Closet to save shipping charges.